The Centers for Medicare and Medicaid Services (CMS) has acknowledged the tremendous administrative burden physicians bear for documenting office visits for evaluation and management (E/M), states the Association of American Physicians and Surgeons (AAPS). There are five levels of E/M visits with AMA-copyrighted codes, each requiring a set of “bullet points” in the record of the visit, often entered by extensive cutting and pasting from other parts of the record. “Upcoding” to collect a slightly higher fee is considered fraud, punishable by draconian fines and imprisonment. Under the proposed new rule, which is part of the Patients Over Paperwork initiative, doctors who like the 1995 or 1997 documentation guidelines could keep them, or they could use medical decision-making or time as the governing factor in choosing the visit level. In the current system, time counts only if counseling or care coordination dominate the visit. According to a CMS press release, the streamlining is estimated to save a clinician a full 51 hours per year, if 40 percent of the practice is Medicare. That would be about one hour per week, 10 minutes a day, or less than 1 minute per patient. Payment rates under the new rule would be “blended.” For level 2 through 5 visits, current fees for an established patient range from $45 to $148, and for a new patient from $76 to $211. The new schedule would pay $93 for an established or $135 for a new patient, regardless of the complexity of the service. Documentation need only be sufficient to justify a level 2 visit. “Specialists who provide many level 4 and 5 visits to complicated patients would see a large decrease in revenue based on this blending,” noted AAPS executive director Jane M. Orient, M.D. CMS states that the proposal is budget neutral—for the government, considering potential add-ons and other factors involved in calculating payments under the Resource-Based Relative Value Scale (RB-RVS), the Medicare price-control system. 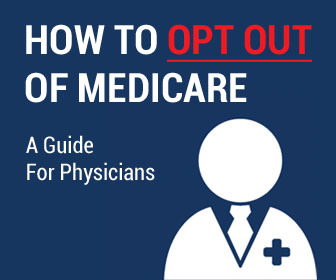 The revisions to the physician fee schedule are part of a 1,473-page rule that also includes proposed changes to the Quality Payment Program with its Merit-based Incentive Payment System (MIPS), even though the Medicare Payment Advisory Commission (MedPAC) voted 14 to 2 to junk MIPS. If physicians invest tens of thousands of dollars in MIPS participation, they might be able to earn a small bonus, but many are accepting a “downward adjustment” in fees rather than incur the costs, Dr. Orient stated.